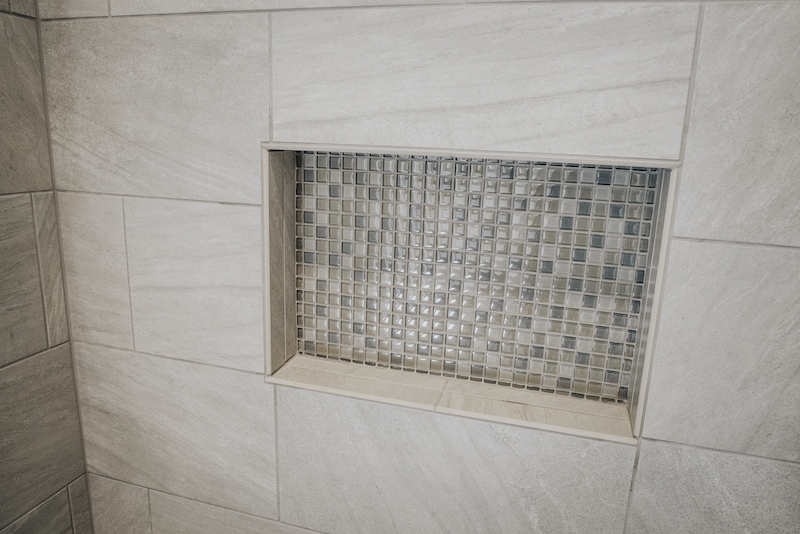 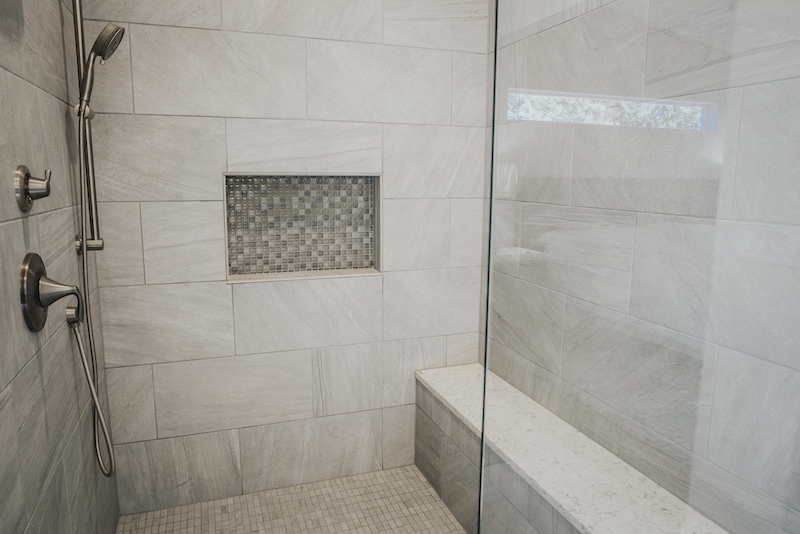 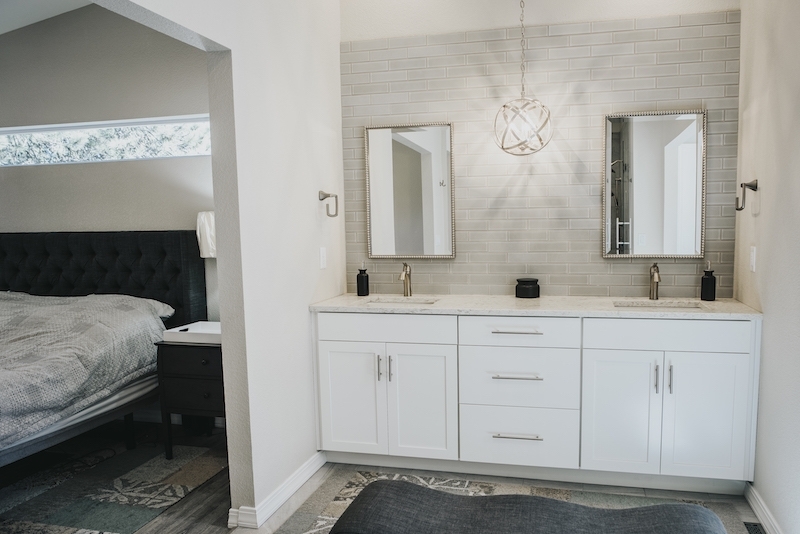 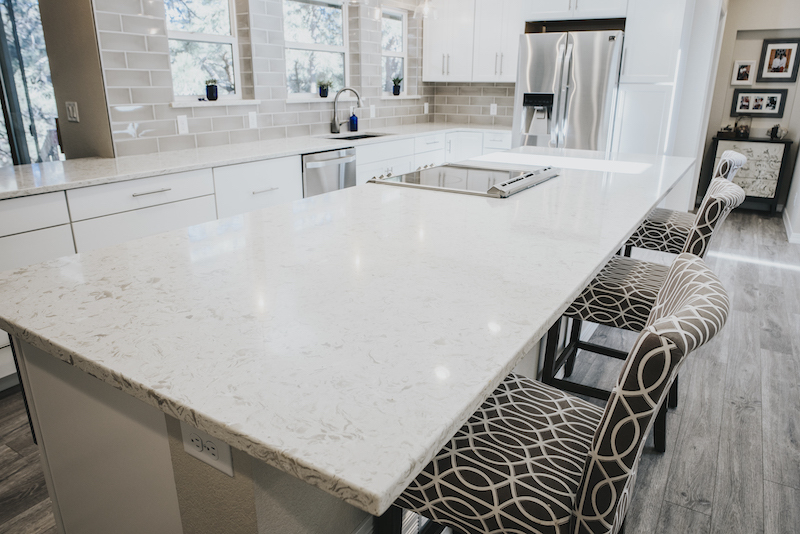 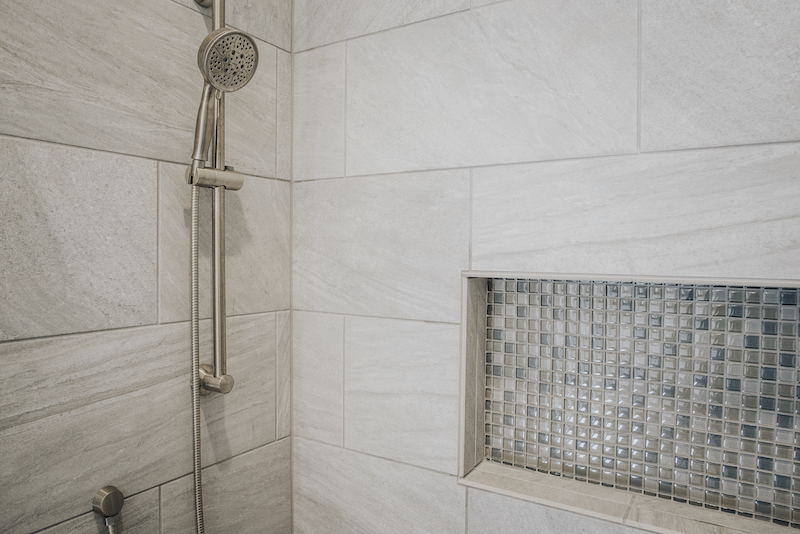 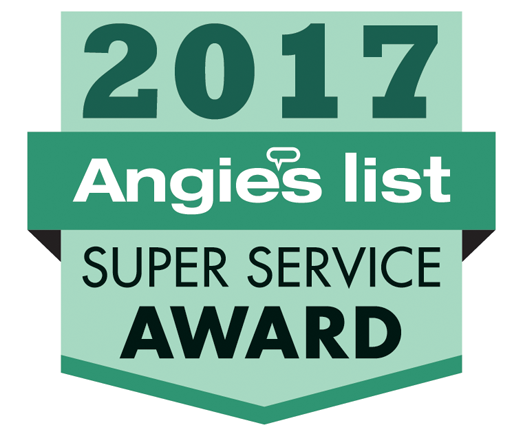 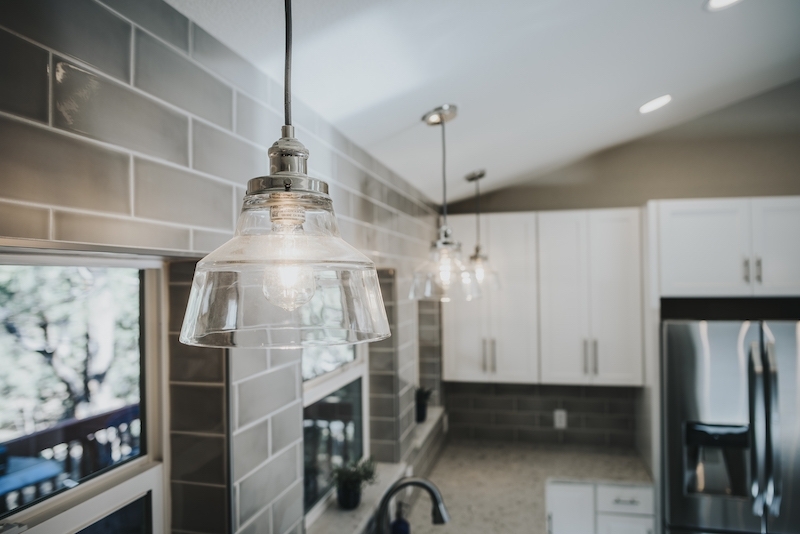 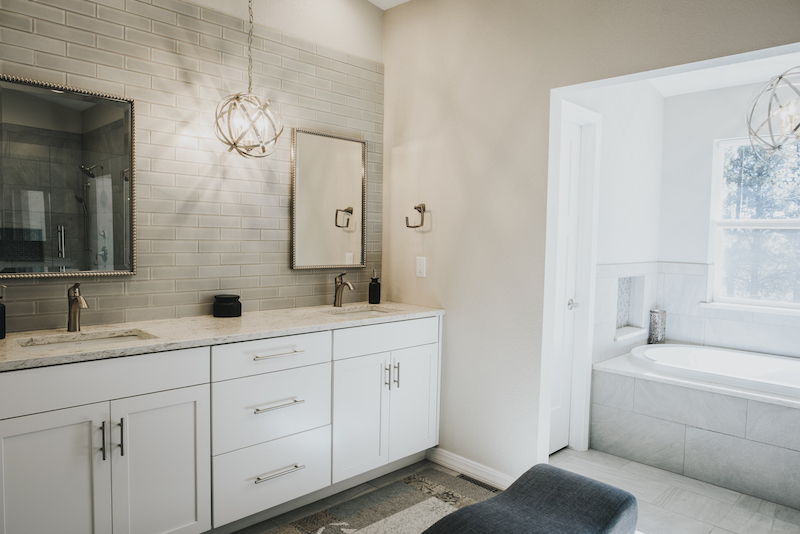 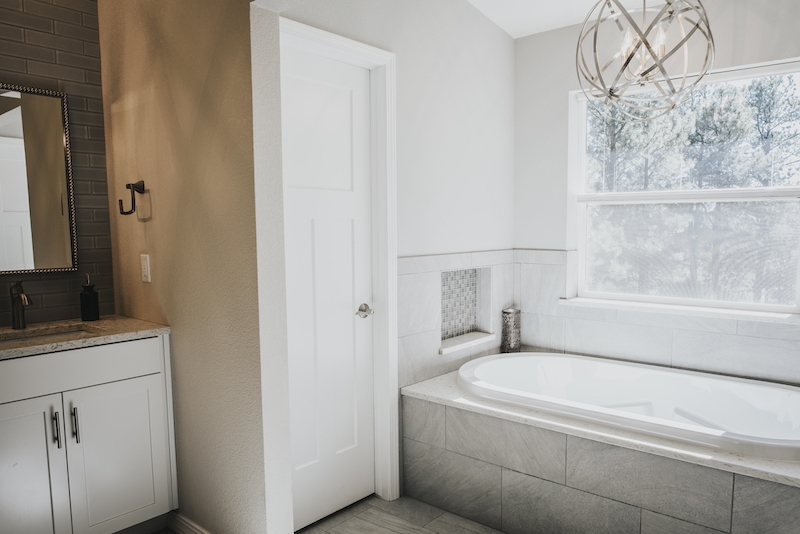 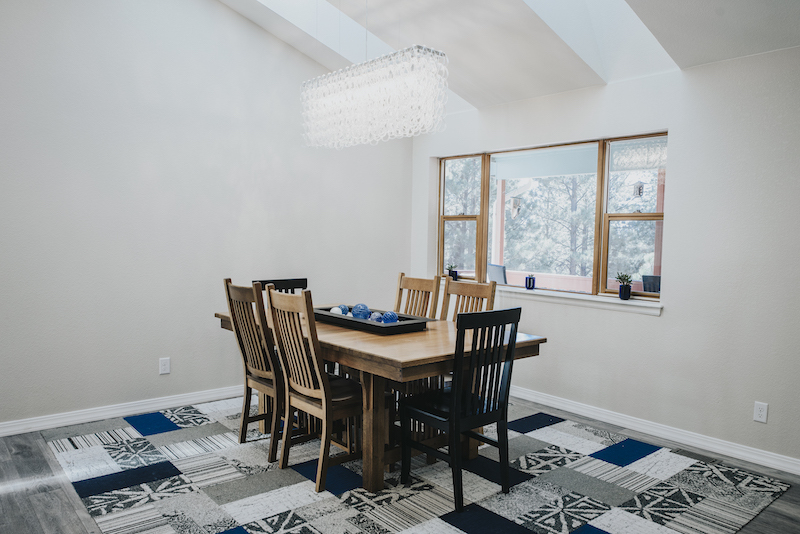 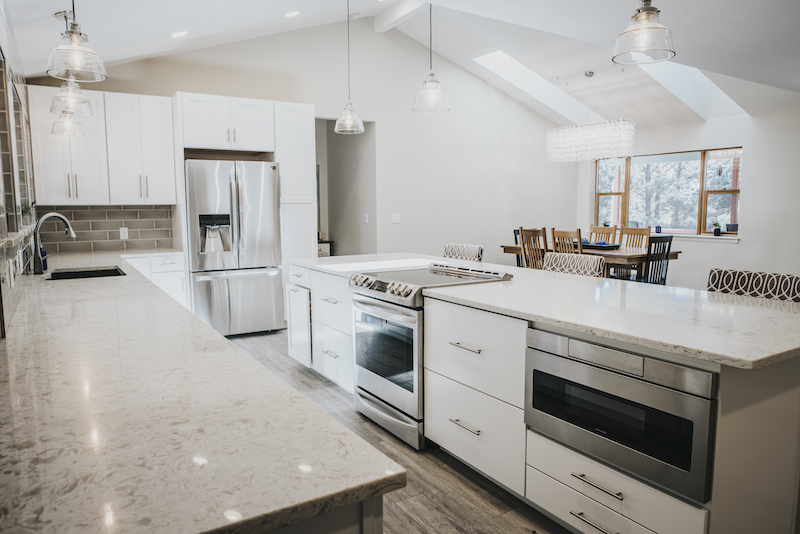 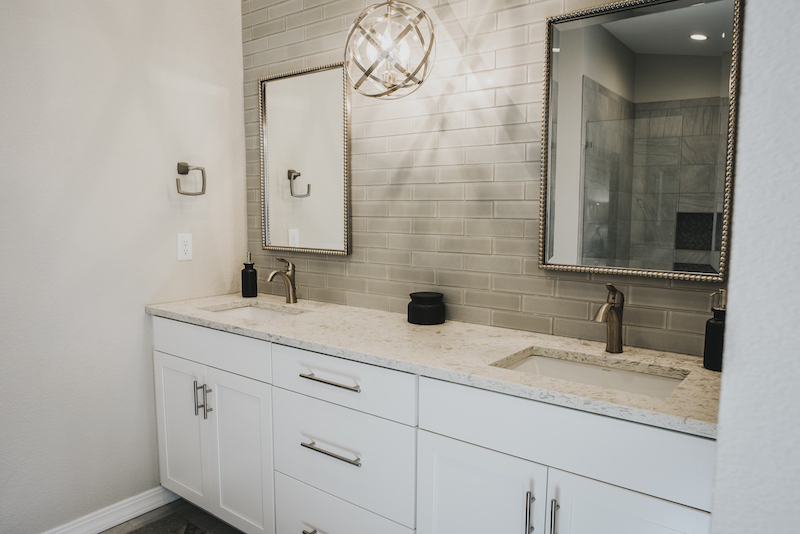 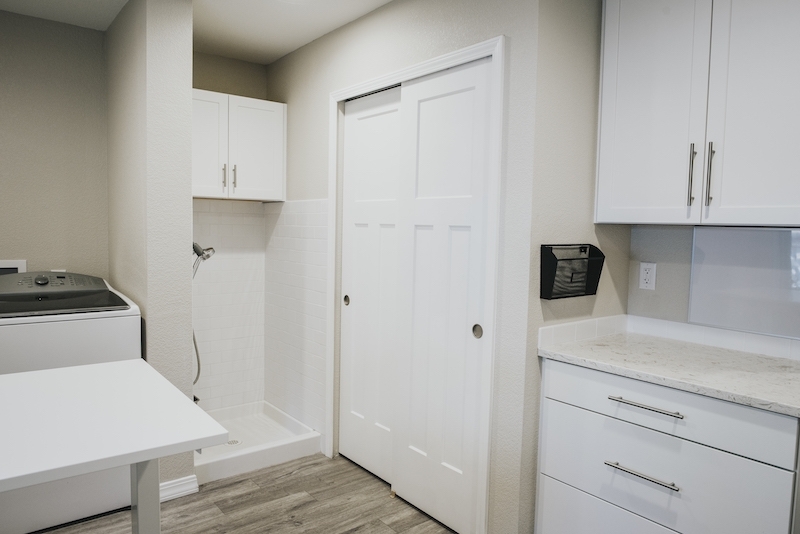 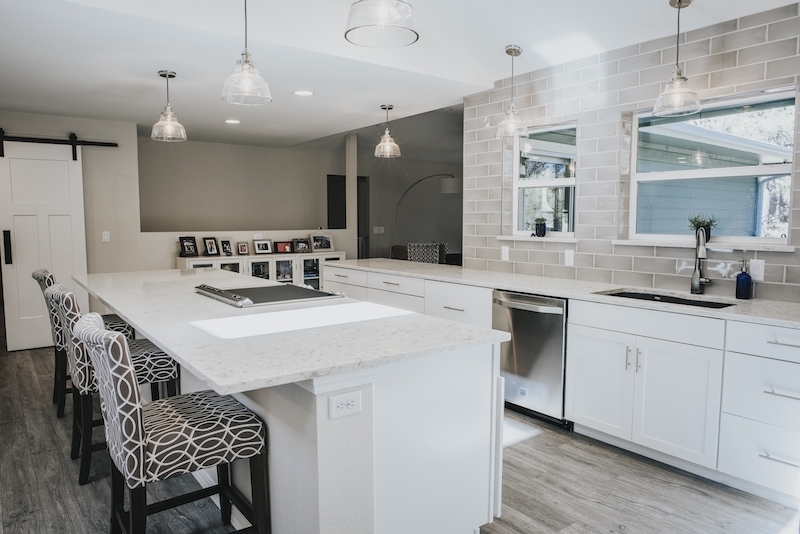 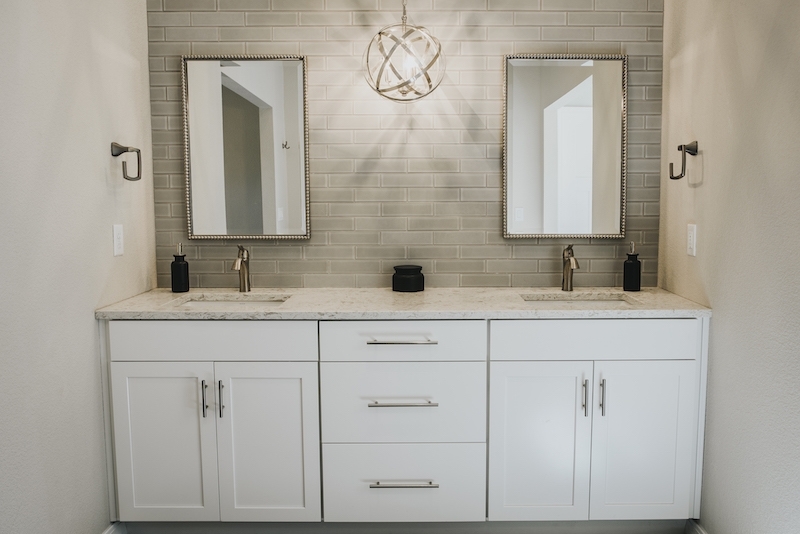 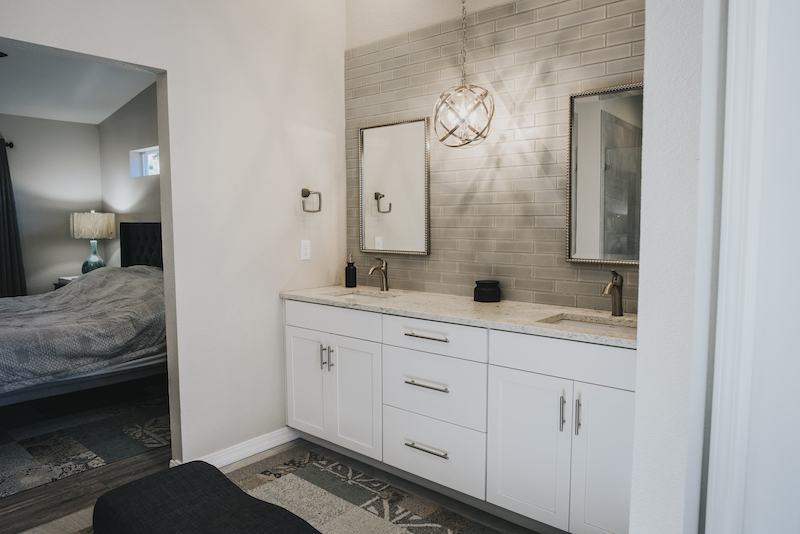 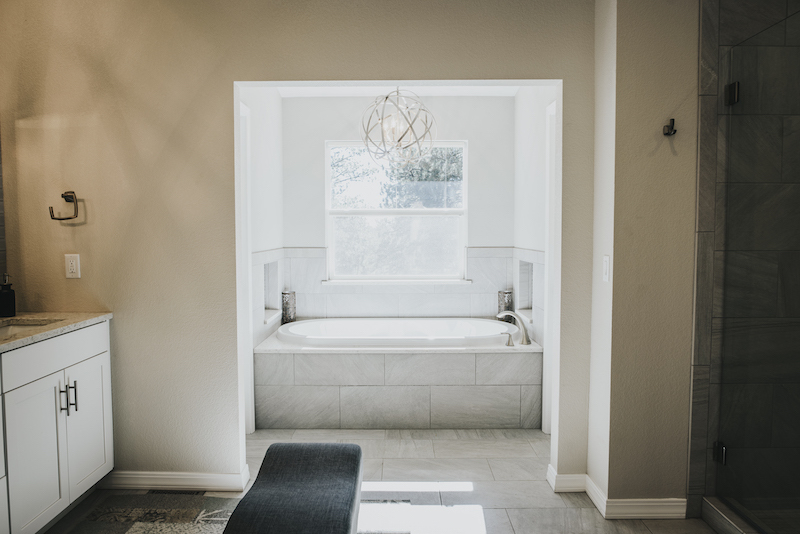 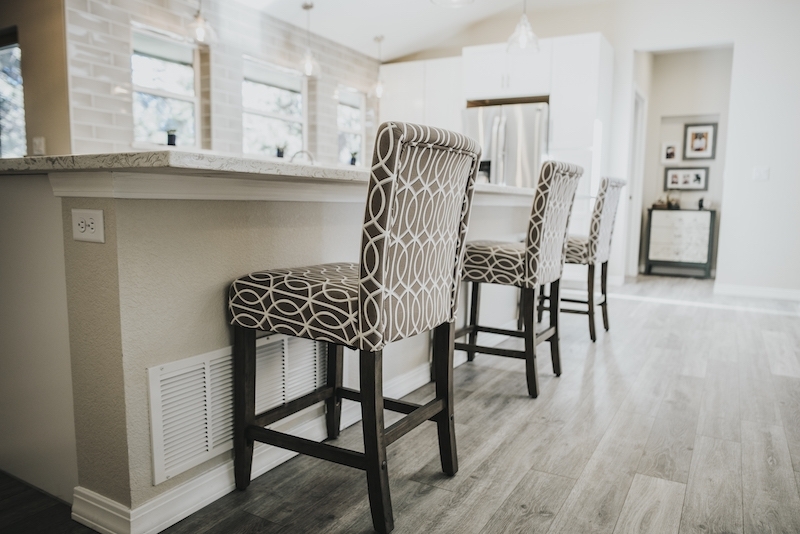 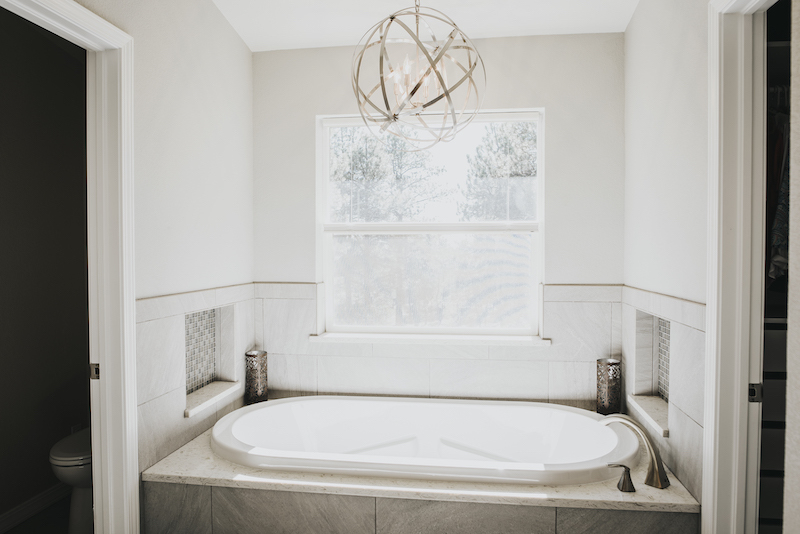 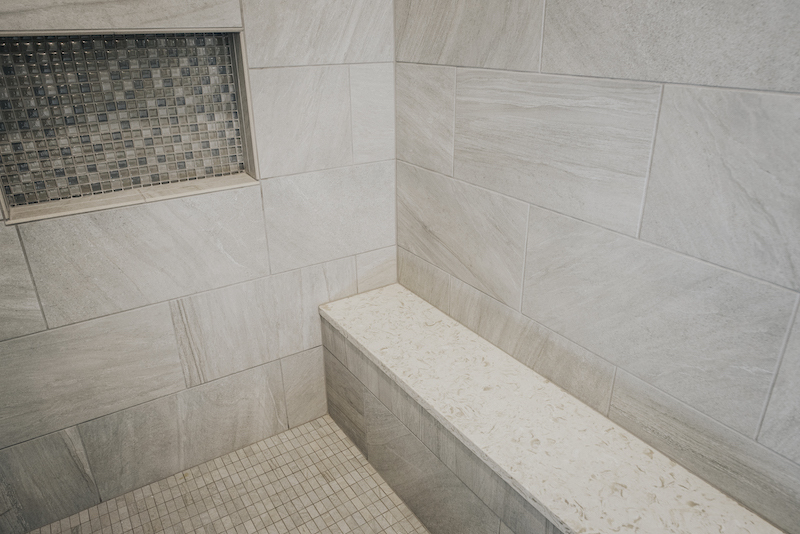 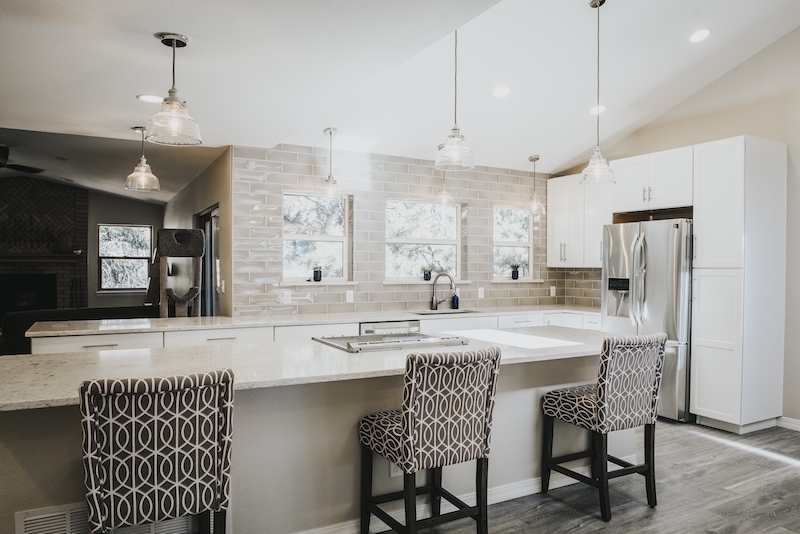 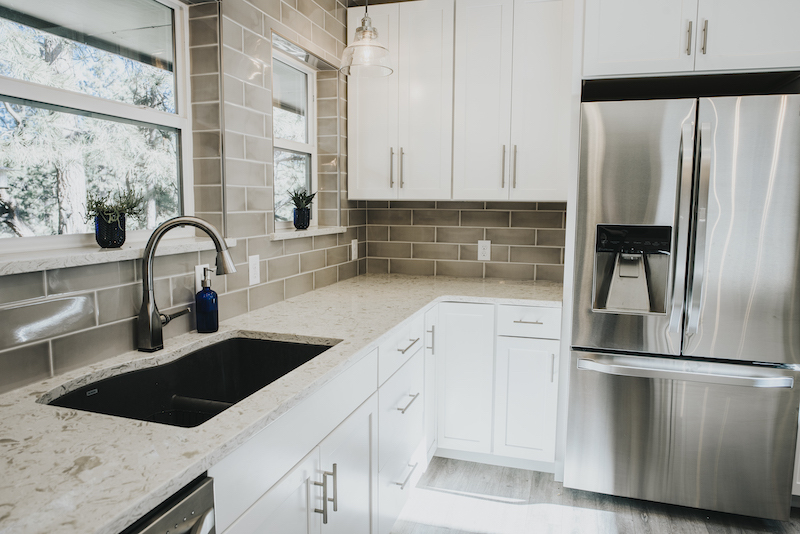 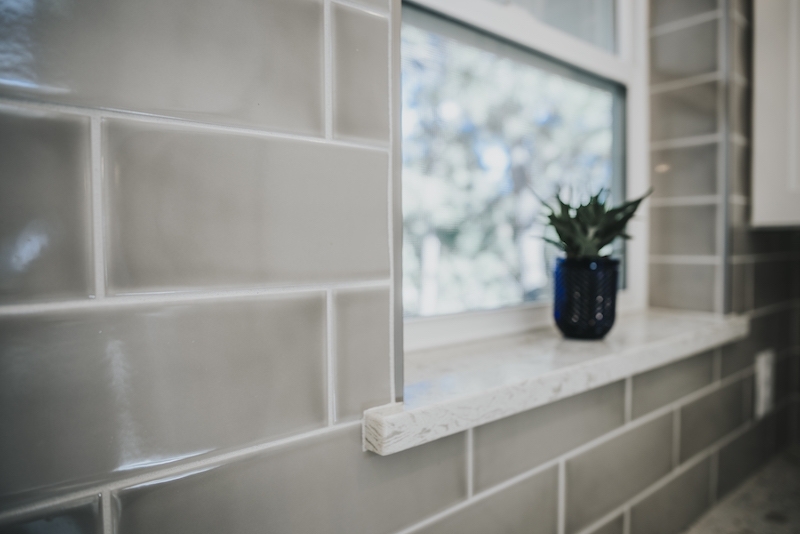 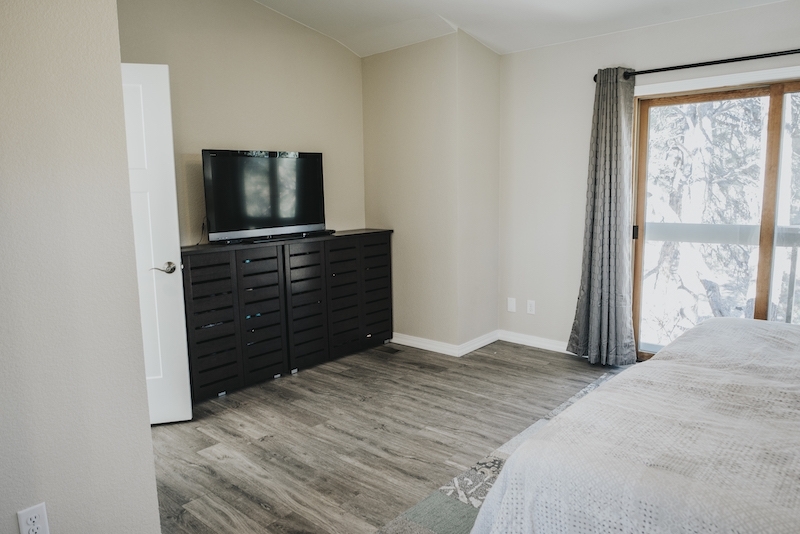 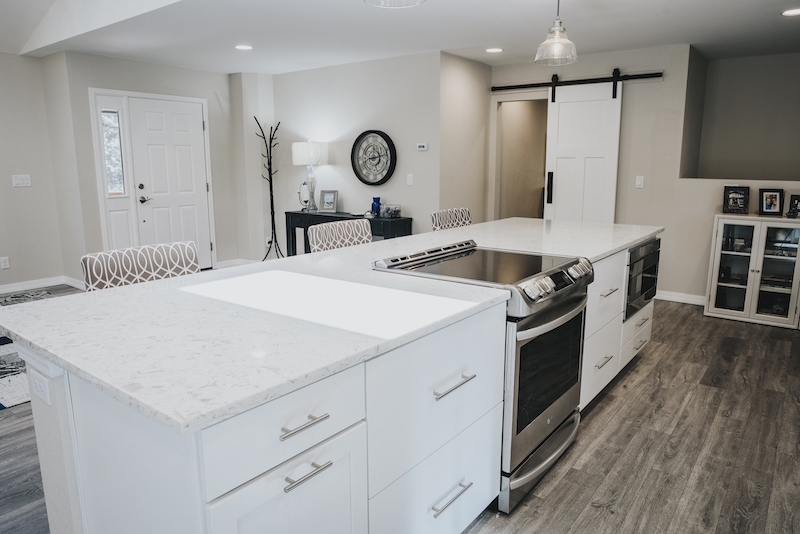 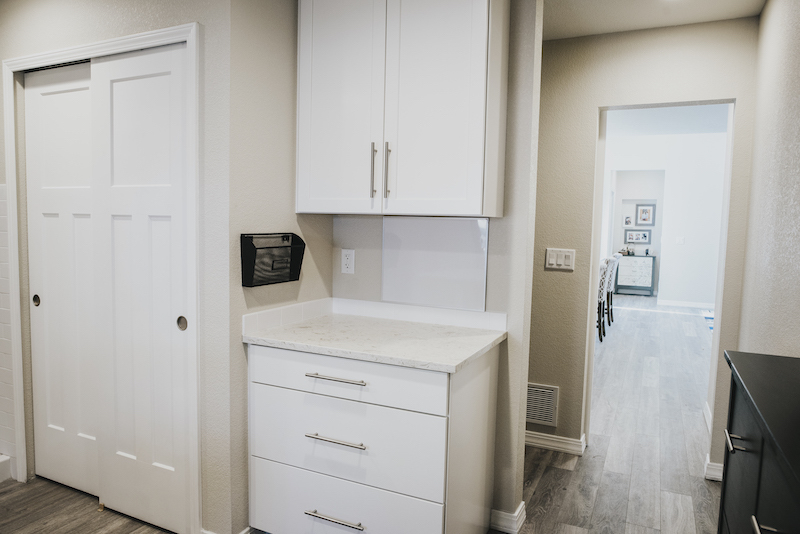 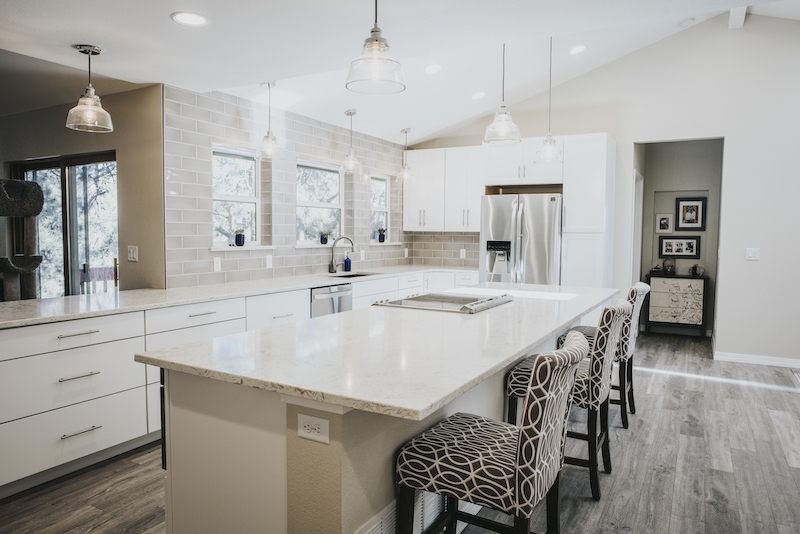 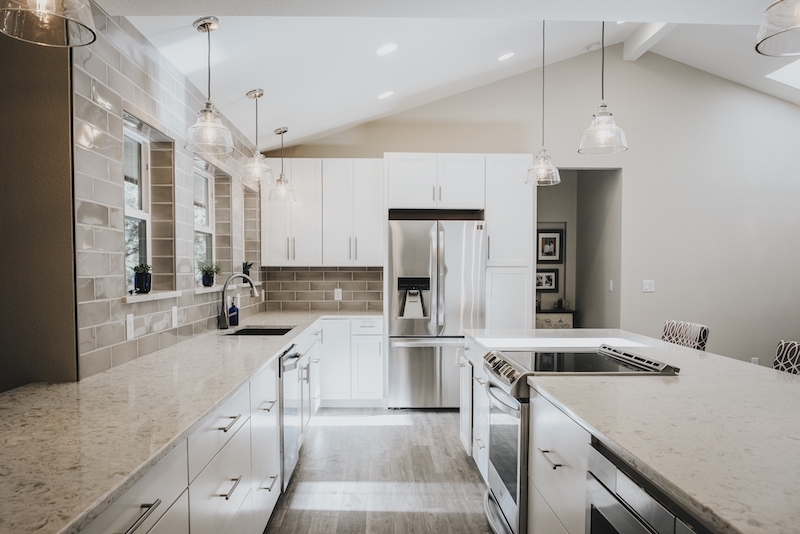 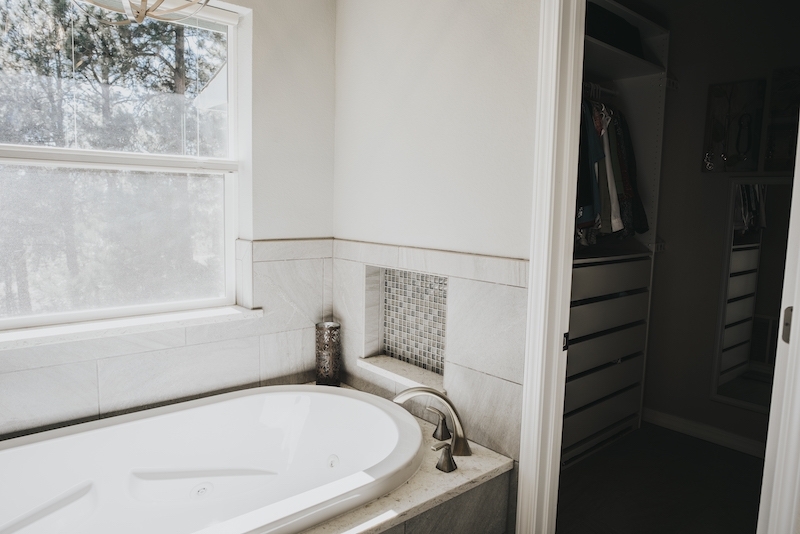 Spirit Wood Loop | Kitchen & Bath Home Remodeling | Colorado Springs | J&J Construction, Inc. 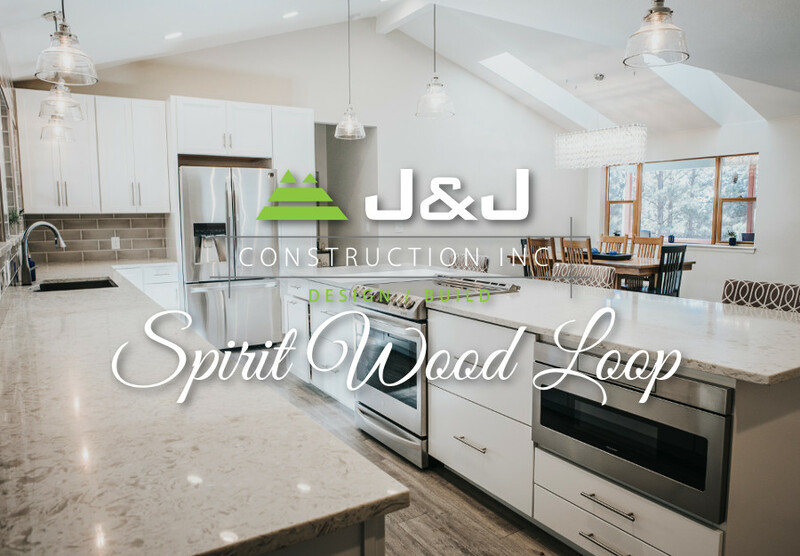 The Spirit Wood Loop project was a full main level home renovation of a mid-80’s home. 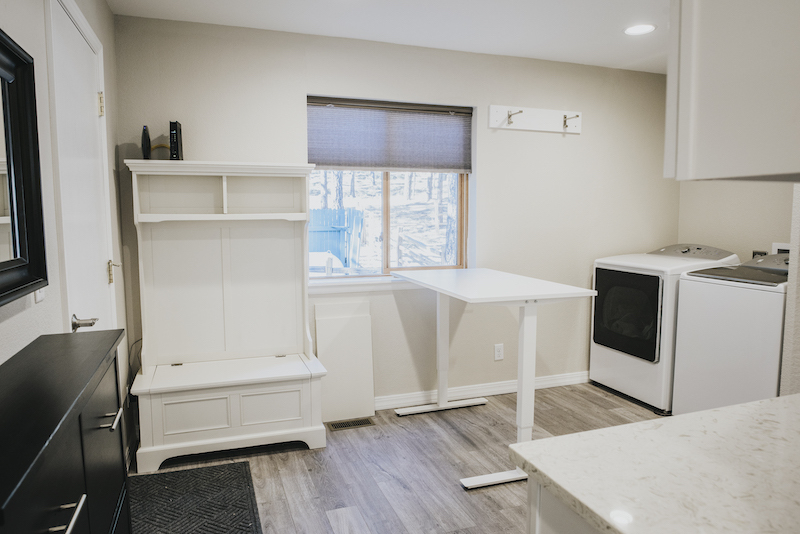 It was a complete demo of the main level with new flooring, cabinets, countertops, and appliances. 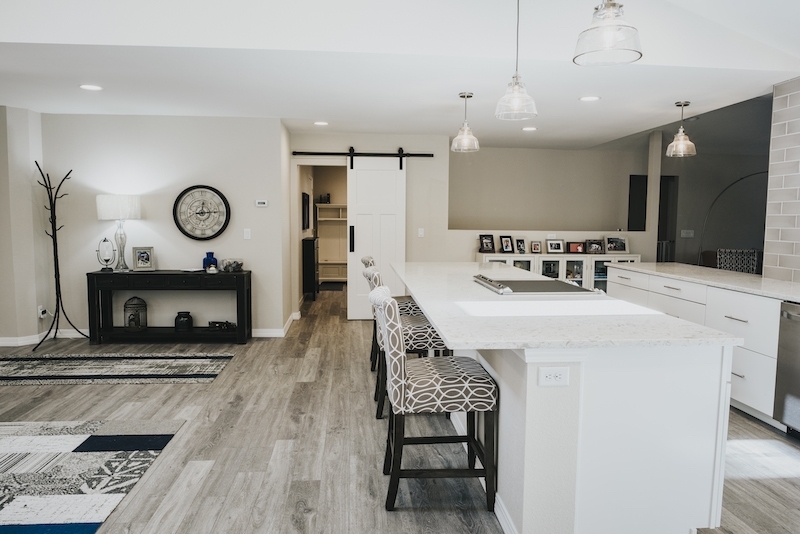 We removed the walls around the kitchen & dining area’s to create an open concept living area. 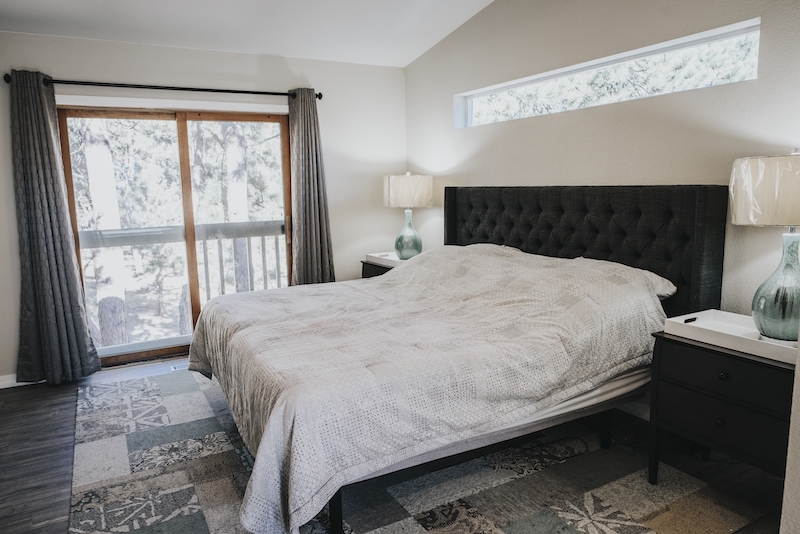 Next, we expanded the master bedroom towards the dining room and added three new windows in the kitchen. 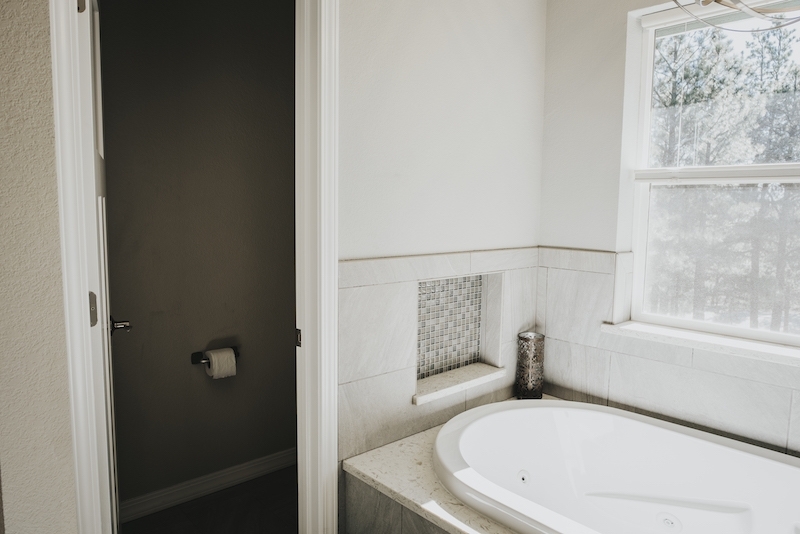 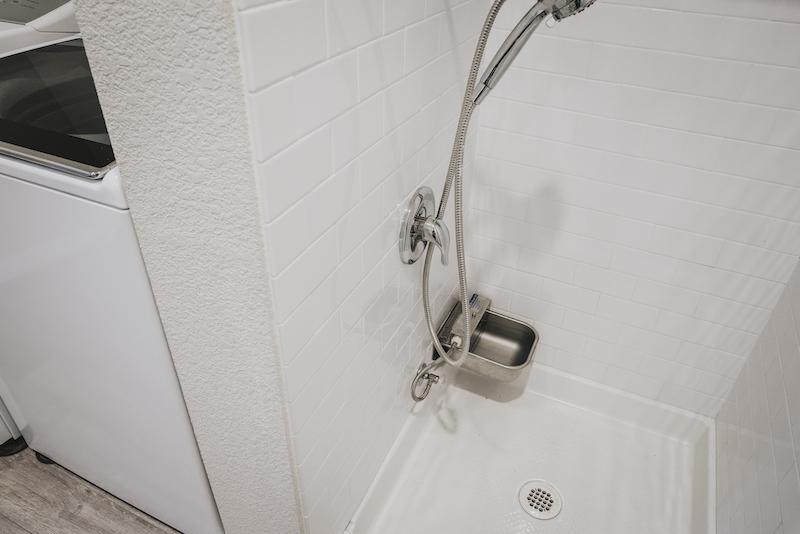 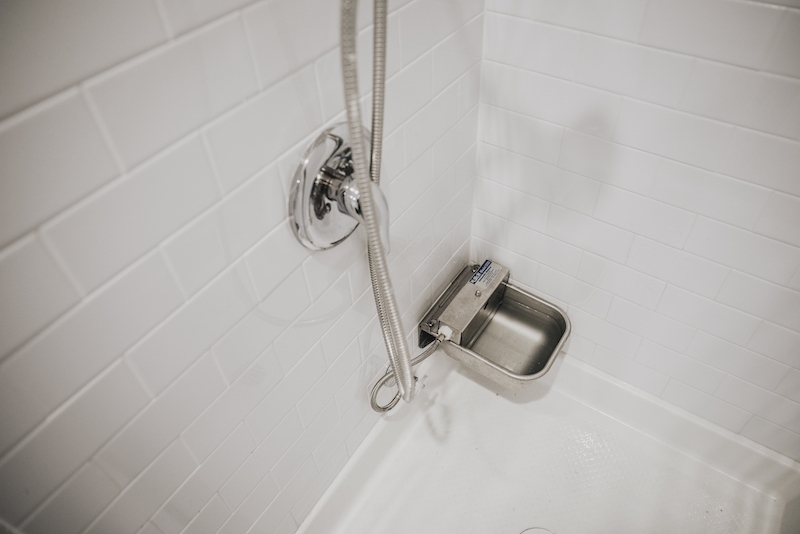 The master bathroom remodel was also a complete demo with a brand new tub and walk-in shower in the master bath. 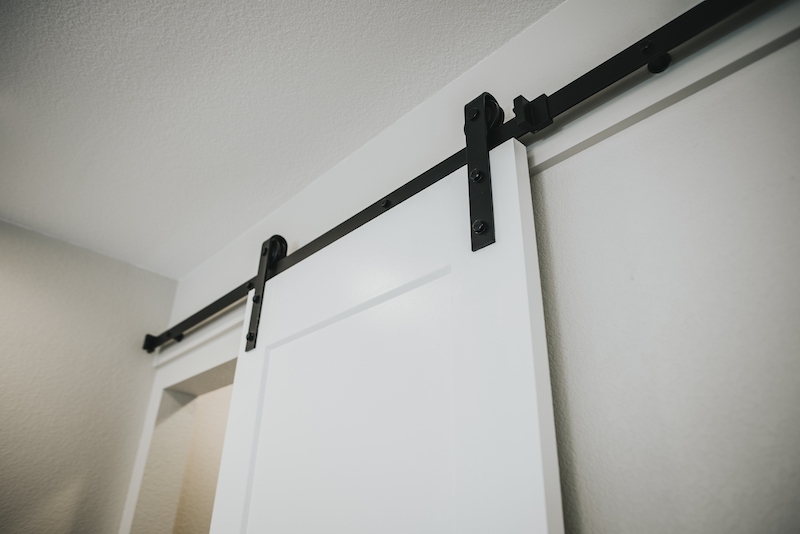 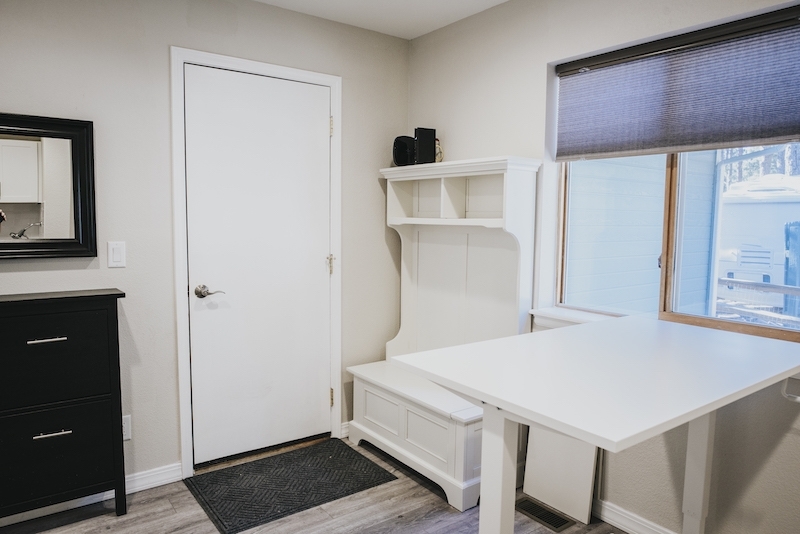 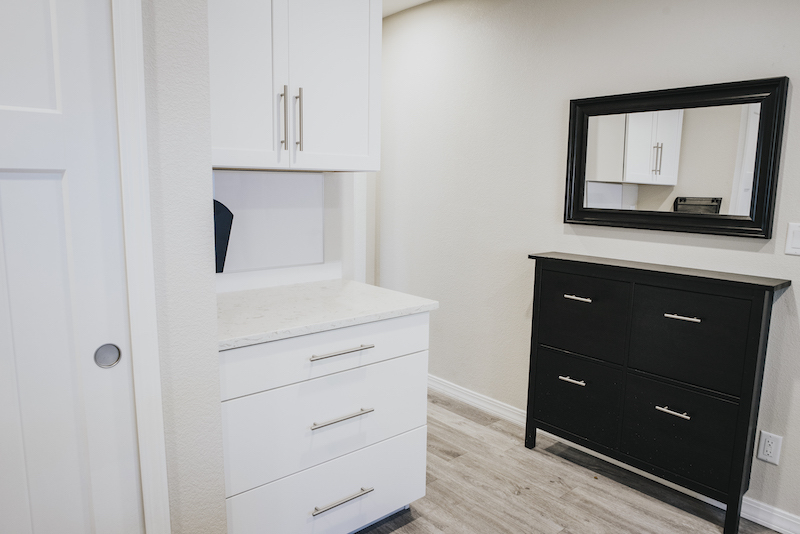 We added a walk-in closet and vanities, along with a water closet. 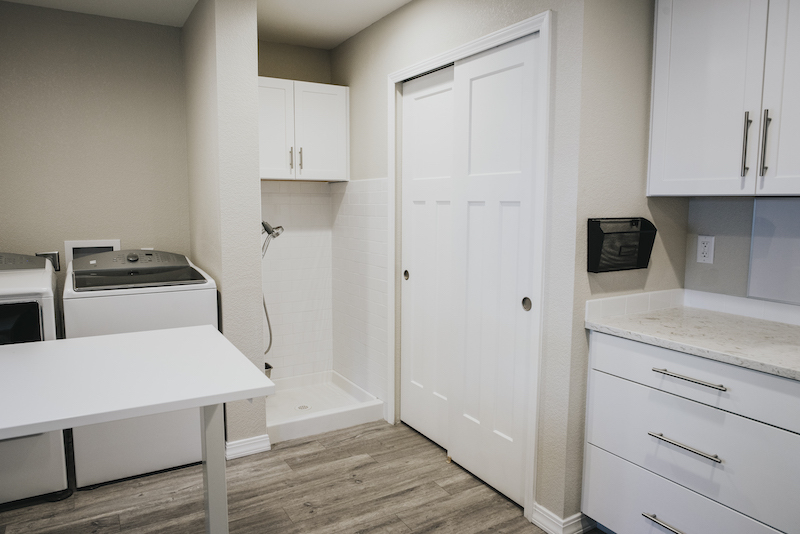 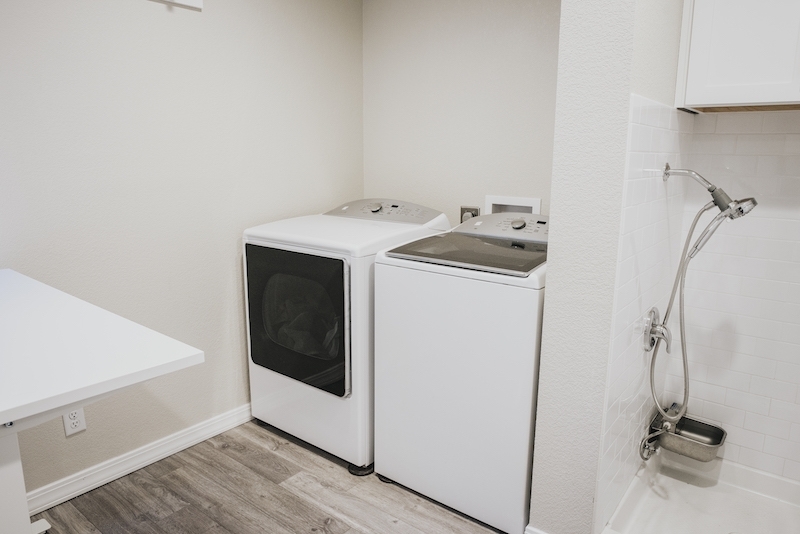 Last, we did a complete demo and redesign of the laundry room to include a new dog wash. 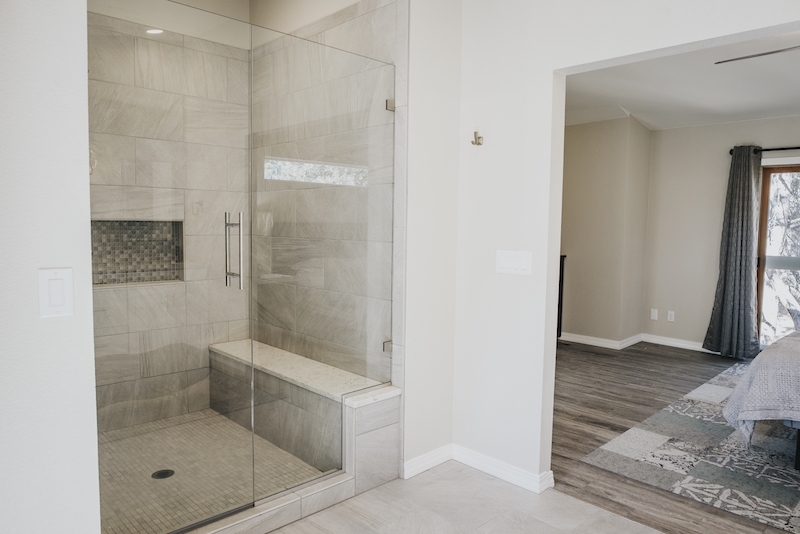 The estimated cost of the entire project was $160,000 with a time frame of 4 months.